ABBYY solutions enable healthcare organisations to streamline paper-based business processes by capturing information from documents, automatically classifying them, and routing documents and extracted patient data to health information management systems (HIM). By automating this process, healthcare providers can ensure the information is available for patient care or patient accounting with minimal labour. Electronic health records allow organisations to manage patient medical history in order to improve healthcare services and to reduce costs of patient care. ABBYY capture platforms enable Healthcare organisations to extract data from EOBs and forms automatically. With the help of ABBYY FlexiCapture software, healthcare providers can automatically capture data from different medical documents, such as clinical examination forms, patient surveys, patient records, healthcare claims, explanations of benefits (EOB), Medicare claims, reports and more. Electronic patient medical history management enables providers to improve healthcare service and to reduce costs. ABBYY’s capture solution automatically converts patient documents into electronic format and routes patient medical information to electronic health record systems. ABBYY FlexiCapture delivers digital data quickly and safely, thereby affording doctors, physicians, nurses and other medical staff to access accurate electronic health records in real time. Elimination of time-consuming manual data entry. Fast capture at the point of service in both centralized and distributed environments. One platform for processing any kind of document: patient records, EOBs, healthcare claims processing, etc. Increased productivity and streamlined business processes. 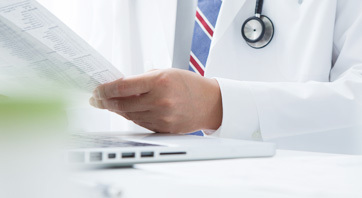 Digital archiving and quick access to real-time patient data and documents. An explanation of benefits (EOB) can consist hundreds of pages. Because of the amount of data and the difficulty in locating it on the pages, entering EOBs into the patient accounting system is very time-consuming and error-prone. Tedious manual processing is expensive and takes many man-hours. When healthcare providers have to manually process EOBs, self-pay remittance slips, and payment checks, they have less time to focus on managing denials which leads to delays in revenue generation. ABBYY capture platforms enable Healthcare organisations to extract data from EOBs and forms automatically. Additionally, item details like procedural charges, diagnostic codes, claim numbers, patient numbers, patient names, reason codes, individual items and descriptions can be processed automatically and applied rules ensure high data quality. Through process automation costs are significantly lowered and staff is freed up to focus on the provision of high quality patient care. Reduce employee workload and the labour costs associated with EOB processing. Fast capture at the point of service in both centralised and distributed environments. A single platform for processing all kind of documents: patient records, EOBs, healthcare claims processing etc. Increased productivity and streamlined business process. Optimisation of patient data and statement of benefits process. Simplify the implementation of electronic patient records and information through the classification and automatic processing of documents. Automation of costly, manual processes related to document processing. Increase the productivity of employees who can focus on important tasks instead of manual data extraction. Reduction of error rates through the use of leading technology for OCR, ICR, OMR and barcode recognition, and automatic data validation to patient data. Easy and fast retrieval of patient data, which doctors and nurses use to make better decisions. Nobly extends its electronic medical record (EMR) system by integrating automatic document classification component. Learn more about ABBYY products that power ABBYY solutions for healthcare.